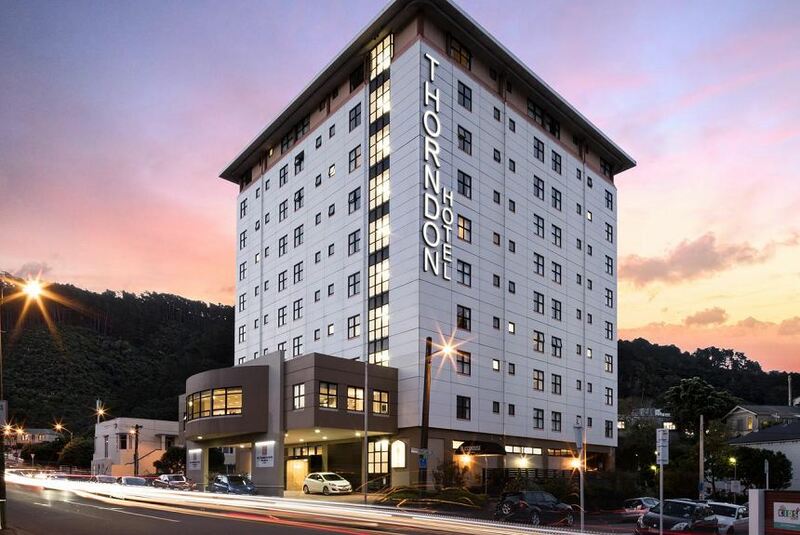 Located in Wellington's city centre, within 5 minutes' walk from Lambton Quay shopping area, The Thorndon Hotel Wellington by Rydges features a restaurant and free access to a fitness centre and sauna. Guest also enjoy free WiFi. Wellington Railway Station is a 12-minute walk from the property. Glasshouse Restaurant & Bar offers modern New Zealand cuisine with beautiful garden views. The bar features a 50-inch flat-screen TV and a range of local wines. Rooms at The Thorndon Hotel Wellington are bright and comfortable, and some have views of the city skyline. The Thorndon Hotel Wellington offers free access to City Fitness Gym, which is a 3-minute walk away. The Interislander Ferry Terminal is only a 7 minute drive away. The hotel's conference facilities can accommodate up to 150 people, whether for a meeting, wedding or other special events. The Botanical Gardens are only 700 m from the hotel. Old Saint Paul's Church and Sacred Heart Cathedral are both about 200 m away.